New Delhi: WWF-India’s recent snow leopard study yielded photo evidence of the elusive species in Arunachal Pradesh, a state that is resplendent with biodiversity and yet largely unexplored. 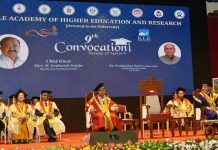 The evidence is particularly significant, more so given that large natural areas in the state of Arunachal Pradesh fall under the custodianship of local communities whose support is crucial to protect the species and its habitat. The species was photographed by a camera trap set up at Thembang, one of the Community Conserved Areas in the state. Only a fraction of snow leopard habitat in the state falls into 2 protected areas i.e. Dibang Biosphere Reserve and Namdapha National Park. The presence of the big cat beyond these protected areas highlights the importance of community support for conservation as well as landscape scale conservation planning. The state-wide survey carried out by WWF-India in collaboration with the Arunachal Pradesh Forest Department was conducted from March 2017, focusing on the unexplored areas. 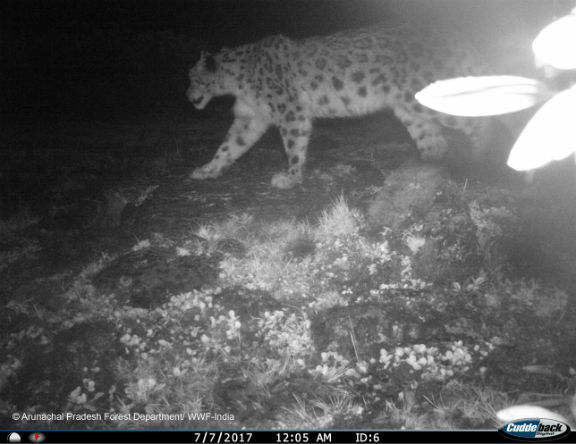 “This perhaps is the first time that the presence of snow leopard has been reported through a camera trap photograph from the state of Arunachal Pradesh. The findings of this survey will help in developing conservation plans for the iconic species of the region, primarily snow leopards, and step up our conservation efforts,” said Mr. Omkar Singh, PCCF & Principal Secretary, Department of Environment and Forest, Government of Arunachal Pradesh. The survey built on the knowledge of the community members to understand the current distribution of snow leopards and other large mammals. Researchers, including trained local youth, interviewed herders and former hunters who provided detailed information on snow leopards across the state as well as its prey species. Over 80 per cent of the interviewees confirmed the presence of snow leopards in their area, an encouraging sign for the state. The research team also deployed camera traps in select areas to document the species and obtained a photograph of a snow leopard in the Community Conserved Area. The state-wide survey conducted by WWF-India in Arunachal Pradesh is significant as it covers one of the 22 priority landscapes of the Global Snow Leopard Ecosystem Protection Program (GSLEP). Findings of the state-wide survey will enable the Arunachal Pradesh Forest Department to develop a snow leopard conservation plan to address increasing threats such as retaliatory killings, infrastructure development and climate change induced impacts on the habitats. Building community stewardship for conservation is one of the primary focus areas of WWF-India across all its conservation landscapes. In 2004, WWF-India introduced the concept of Community Conserved Areas (CCAs) in Arunachal Pradesh which empowers local communities to become active decision makers to implement conservation initiatives that benefits both wildlife and humans. Local communities in these CCAs have formed committees to undertake wildlife monitoring, patrolling, and community based tourism activities.